Well done I think I might tighten the image a bit so there are less of the leaves. The picture does not have much to say other than here is some litter. Perhaps that is exactly what the image intends to say. I like the processing on the leaves, I think you have lots more detail in the leaves. A tighter crop would allow us to get closer and see the detail. Wish you had used a polariser so you would have less reflection off the can. Have you tweaked the colour balance? The red of the can seems wrong to me. I am sure coke cans are more vivid red than that. How did you set the white balance, did you leave on auto? I like the image too Chris but I think it may work best if the leaves were sepia. And welcome to our forum Chris. Agree Mike the colour of the coke tin is a bit strange. David wondered about sepia I wonder about seeing the image in native colour so the story of the litter is kept straight. 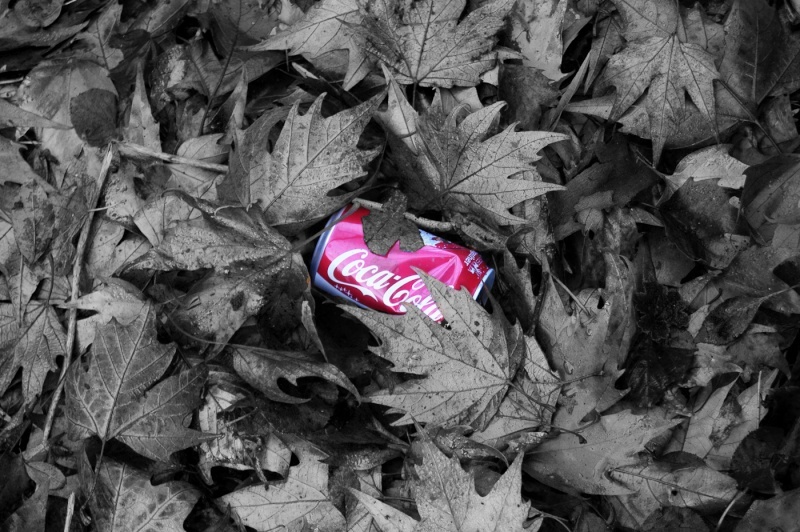 My guess is that there are some rather lovely colours and tones in the leaves that would contrast with the starkness and brutalism of the can. Thanks, the filter is a top tip, and would have made a huge difference, guess I better invest in one. The can was quite faded, but yeah think if it was more like the cherry red it would have stood out a bit more. Glad the feedback was helpful. Also glad you are joining in the fun.